Sleek stylish and sophisticated, the 2019 Toyota Camry is bound to turn heads wherever it goes. However, we all know that looks aren't everything. That's why Toyota designed this best seller to not only deliver on appearance but also to offer the best of the best in mid-class sedan performance, safety, technology and convenience. 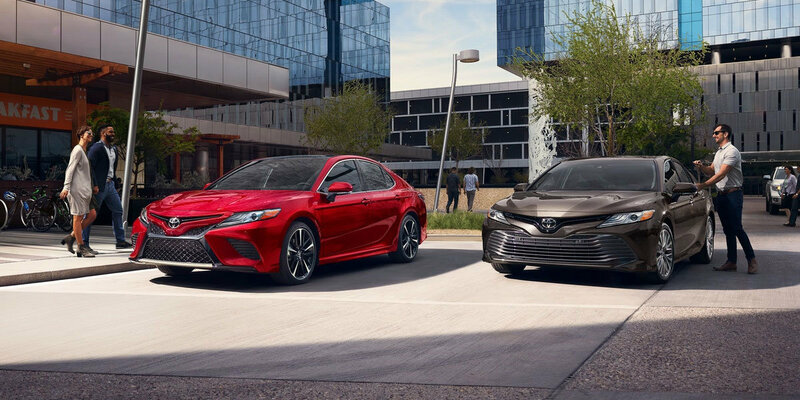 The 2019 Toyota Camry has a starting MSRP of USD $23,845.00 and comes in eight different trim levels including a Hybrid with exceptional fuel efficiency. This sleek and polished sedan boasts features like LED headlights with a smoked tint and LED daytime running lights as well as a gloss black front grille. Try the bright windchill pearl paint option with a midnight black-metallic roof combo and turn heads as you cruise around Historic Downtown Morgantown. The sport-factor has been taken up a notch in the new Camry with sporty side rocker panels and 19-inch machine alloy wheels. 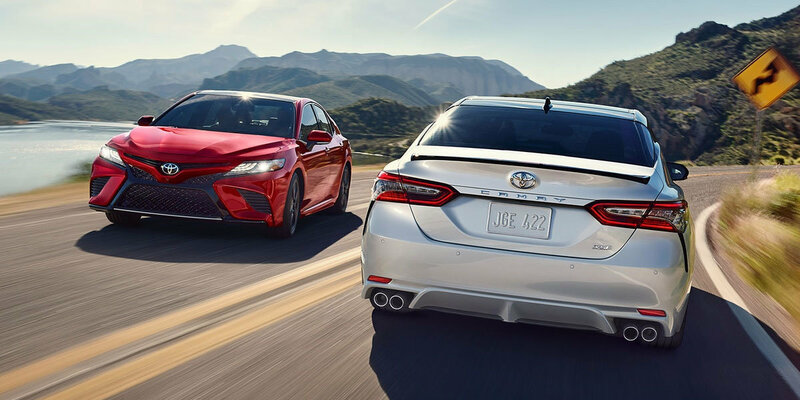 The back of the 2019 Camry boasts a midnight-black metallic rear spoiler, dual exhaust with quad chrome tips and LED taillights with smoked tint. Always arrive in style, even if it is just to meet up for drinks at the Apothecary Ale House. 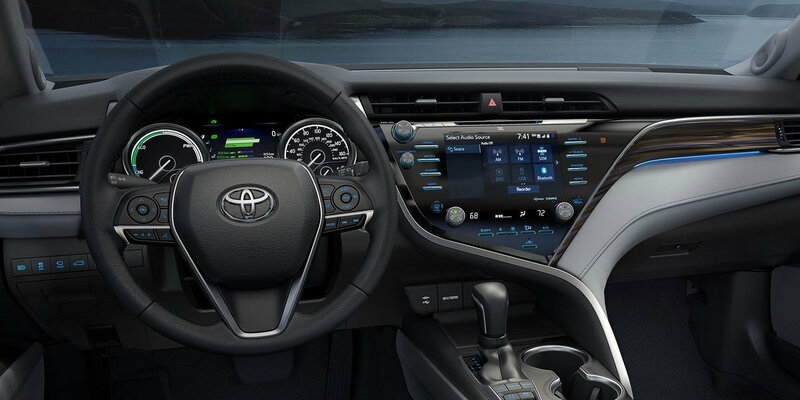 Press the available push-button start to get things rolling and you'll notice all of the next-level-tech that this new Toyota has to offer. In addition to this smart key system, you'll find a seven-inch multi-information system, integrated backup camera and Qi wireless charging. Your audio experience is one of a kind thanks to Entune 3.0 audio Plus with features like Bluetooth, a USB media port, apple carplay, SiriusXM satellite radio and HD radio, all controlled through an 8-inch touchscreen. Throw in cool advanced tech like an optional 10-inch heads-up display and you never have to take your eyes off the road while setting the pre-hype mood before a concert at Mainstage Morgantown. The 2019 Toyota Camry’s powerhouse performance is delivered by a 2.5 liter 4 cylinder under the hood that offers 206 horsepower, and managed by an 8-speed electronically controlled automatic transmission. 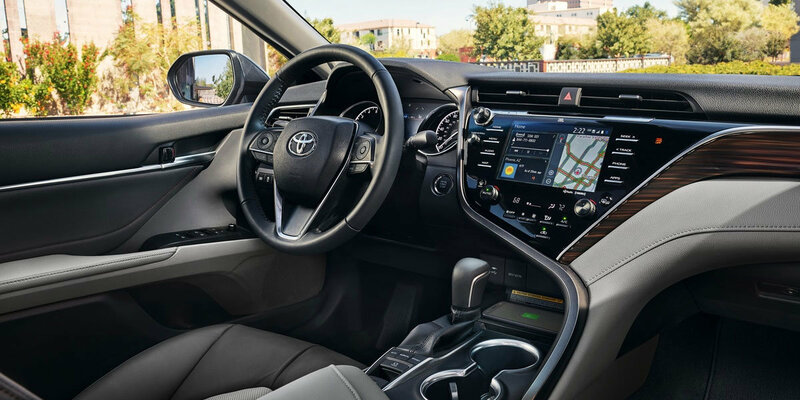 Even with all of this power and performance, the 2019 Camry still manages to include the latest and greatest safety technology incorporating elements like the Star Safety System, an advanced airbag system with 10 airbags and Toyota's Safety Sense. Come take the 2019 Toyota Camry for a test drive today! See what makes Camry the number one selling, most reliable and safest midsized sedan available. University Toyota is a full-service Toyota dealership offering new and pre-owned Toyota Sales and Service, Toyota TXM Express Service, parts, collision repair and rentals. Call our sales department at 304-244-3519 or Contact University Toyota, the dealer of choice in Morgantown, West Virginia.